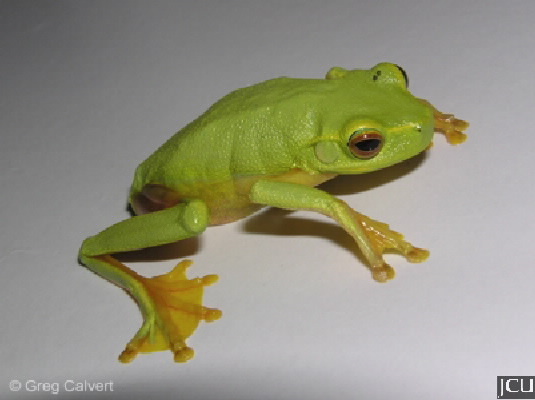 This bright green frog has yellowish stripes extending from the snout, above the eye and towards the body, belly is bright yellow. Iris is a burnt-orange colour; fingers are 75% webbed and toes are fully webbed and are bright yellow on the underside. This frog is found in a variety of habitats as long as they are moist, most commonly seen just after rain.